Aliens Science Is "Atacama humanoid" is human, still a mystery!!! Is "Atacama humanoid" is human, still a mystery!!! Found in the Atacama Desert in Chile the driest place in the world was this preserved humanoid. Its only six inches tall but studies by a expert in paediatric bone disorders whom estimated the remains to by between 6-8 years old. It would be nice to know how it was found and if it has been carbon dated yet. Is it some kind of deformed human. A little alien from outer space or some kind of fairy. Lets hope its not the fairy king they have dug up or the fairies will get cross. 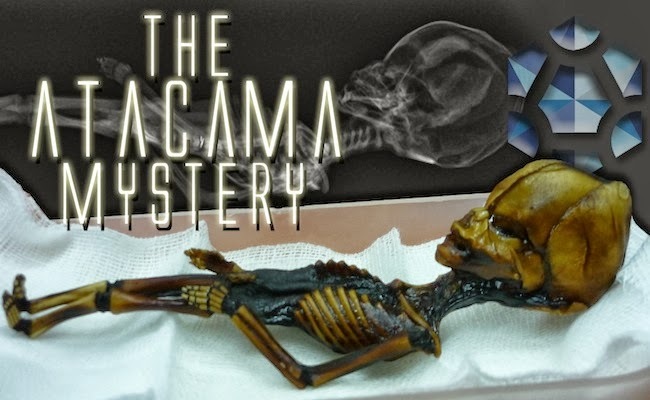 The Sirius documentary was finally released and the question as to whether the Atacama humanoid is an extraterrestrial has been resolved, at least according to the scientist who analysed the DNA, and the results are that he is human. However, the mystery doesn’t end there. Although, it is not an extraterrestrial, their findings show it may have been a 6-inch Chilean human that survived for 6 to 8 years.